Nobody is worse at keeping secrets than Tom Holland. He routinely spoiled major details throughout the press tour for Avengers: Infinity War and will likely do so again when Avengers 4 roles around. If you were an interviewer and couldn't trick him into revealing too much you weren't trying hard enough. But sometimes Holland doesn't even need to be tricked, he just goes and says too much on his own. While I'm pretty sure this was intentional, it goes to show that Marvel is just letting Holland have fun with his reputation as a blabbermouth. On his Instagram page, Holland "accidentally" spoiled the title for his Spider-Man: Homecoming sequel. So what is it? Spider-Man: Far From Home. Makes sense. He IS pretty far from home right now, isn't he? I mean, how far is death from Manhattan, anyway? 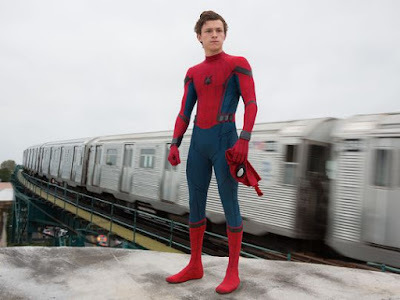 Presuming he does come back to life after Thanos' snap of the fingers, Spider-Man is rumored to go on some kind of Eurotrip in his sequel, a trip that will put him at odds against Jake Gyllenhaal as Mysterio. Spider-Man: Far From Home opens July 5th 2019.